Facebook closed my account. There’s a wave of furry victims of this ill-planned policy. Did it happen to you too? 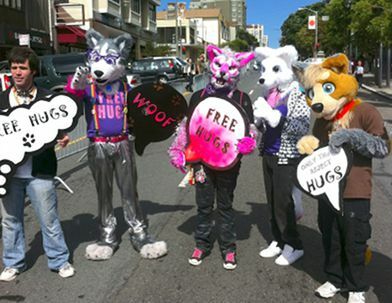 Behind the fursona, there’s deeper issues, like the way internet trolls enjoy gay-bashing and compromising safety for participants of certain live club events. These names are positive statements. Forcing you not to use yours is a negative statement. When I organized a “hug-in” coinciding with a protest threat from Westboro Baptist Church (of “God Hates Fags” infamy), it was meant to be a positive thing of it’s own… but also to answer them with positivity. (They didn’t show- all we did was hug.) Facebook’s policy jeopardizes people’s safety to speak that way.